The best code search solution. Guaranteed. The code search solution for companies that build or maintain software who want to improve productivity and shorten development time by getting value from their existing source code. Promotes reuse of existing code and ideas by allowing developers across teams to see how problems were already solved. Worried about backdoors? Want to check for "phone home" calls? 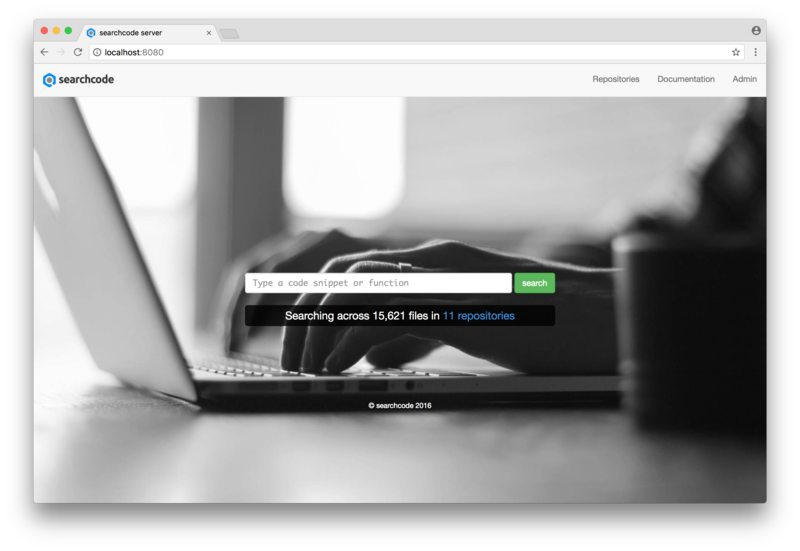 Need an internal audit before allowing searchcode to access your source code? Uncover the hidden value of your existing code. Why re-write what you already have? Find it quickly, reuse and save time. Search as fast as you can type. "Developer tools are the the foundation of the modern world"
A developer's productivity relies on being able to find, understand and reuse code as quickly as possible. Code written years ago has value if used or learnt from. Your existing code is your investment. Use searchcode server to find it and retain its value. By indexing your source code it allows you to search over this code quickly, filtering down by repositories, languages and file owners to find what you were looking for. Own your data, searchcode server is not a SAAS or cloud product, download and install it on your own servers. Gain insight with a single click. Drill down into your projects. 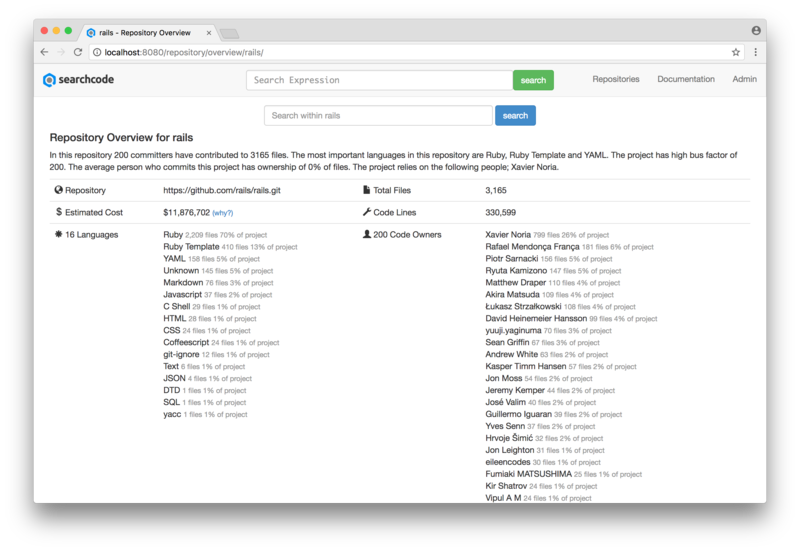 Get a project overview for anything you have indexed. Learn what languages make it up, view the estimated cost and see who is critical to its continued success. Try searchcode server today 100% risk and money free. Use the community edition free for life, or purchase the full edition for support and customisations.